Our survey of toy stores and websites has found ‘girls toys’ and ‘boys toys’ signs and website navigation options are on the way out. But what more do retailers need to do to allow children to choose their interests for themselves? 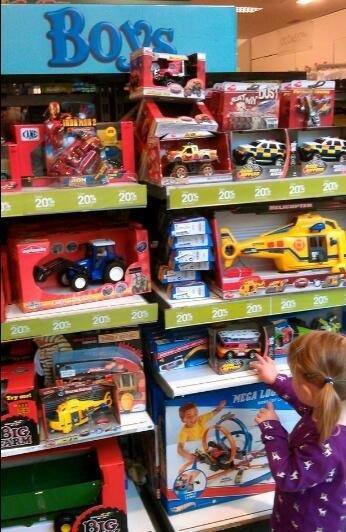 Which toy retailers are letting toys be toys? Help us find out! 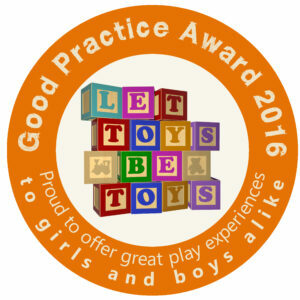 We are delighted to announce our first brand new Toymark winners of 2016. Our good practice award recognises toy retailers and booksellers who are marketing inclusively to all children, without ‘boy’ and ‘girl’ labels or colour-coded signage.